Have you ever heard of turducken? It's a chicken stuffed into a duck stuffed into a turkey. It's supposed to be delicious, but I've never tried it. The closest I've come is chicken cordon bleu, which is cheese stuffed into ham stuffed into a chicken breast that's breaded and fried. It's delicious but oh so fattening. 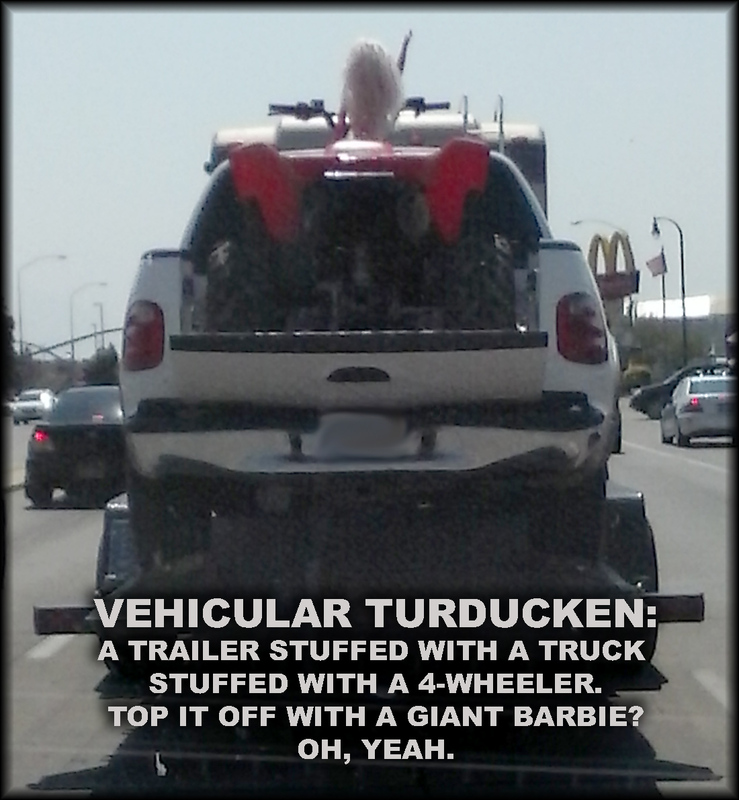 The other day I was driving my son to work and we saw vehicular turducken driving down the road. 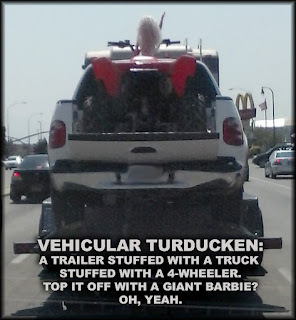 It's a trailer loaded with a pickup loaded with a four-wheeler and topped off by a giant Barbie waving her arms and smiling as bugs splatter her face. I love the weirdness of the world.